Meet ANDERS ROSLUND at Göteborg Book Fair! 13:45 Interview with Roslund about his authorship and Tre Timmar / Three Hours. 17:00 Interview with Roslund about his authorship and Tre Timmar / Three Hours. 11:00 Crimetime seminar: When A Book Becomes A Movie. 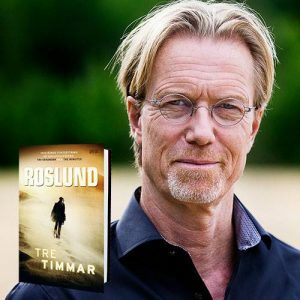 12:30 Interview with Roslund about his authorship and Tre Timmar / Three Hours. 15:00 Interview with Storytelling about Tre Timmar / Three Hours.